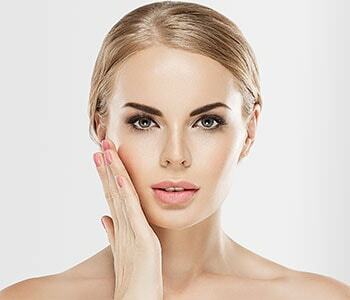 Cosmetic dermatology is making great strides in reducing tell-tale signs of aging – fine lines and wrinkles. A comprehensive program of skin rejuvenation at Coastal Skin and Eye Institute in San Diego includes dermal fillers. Our Board-certified dermatologists apply experience and artistry, for natural looking results. Juvéderm® – This smooth gel compound contains hyaluronic acid (HA). The filler adds immediate volume, and HA binds with internal hydration for further improvement. Because HA is a substance that occurs naturally in the body, there is no risk of allergic reaction. Innovative cross-linking technology makes Juvéderm ideal for “parenthesis” around the mouth. It also plumps and defines lips beautifully. Juvéderm Voluma® XC – Natural fat pads at the mid-face diminish with age, allowing skin to sag at the chin and jowls. Voluma is FDA-approved for the correction of volume loss in the cheek area, providing youthful lift that lasts up to nine months. Sculptra° Aesthetic – This wrinkle reducer is ideal for women and men who prefer gradual change. The poly-L-lactic acid formulation is a volumizing agent. Several treatments over the course of a few months stimulate deep skin layers to produce fresh collagen. A strong meshwork of this fibrous protein supports and firms skin for up to two years of rejuvenation. The Coastal Skin and Eye Institute team uses fillers and other techniques such as Botox®, chemical peels, and laser skin resurfacing to help patients look more youthful without the need for cosmetic surgery. These in-office procedures are brief, well-tolerated, and have little or no downtime. Yet results are amazing. To learn more about looking younger with fillers, call Coastal Skin and Eye Institute in San Diego at (858) 943-2540.